For this project, the homeowners knew something was off in their two-story family room but they couldn't put their finger on the problem. They would ask any visitors what they thought of the paint color and the room and of course, they all said it was "great!". When they asked me the same question, I couldn't lie. It was horrendous! For one, the room was painted peach! Secondly, their yellow, chintzy furniture was ill-fitted and better suited elsewhere. Their silky drapes did not fit with their laid-back lifestyle either (the mom is a song writer). And lastly, they had a minimal budget. So I got to work and immediately added a warmer paint color. Because funds were minimal, I only added a leather couch, an industrial coffee table and burlap drapes. We kept the entertainment center, leather chair and ottoman, side tables and borrowed accessories from other places within the house. So now when they have visitors, no longer do the homeowners ask what they think of the room. Instead they invite them in to a warm, cozy family room for good food and music! 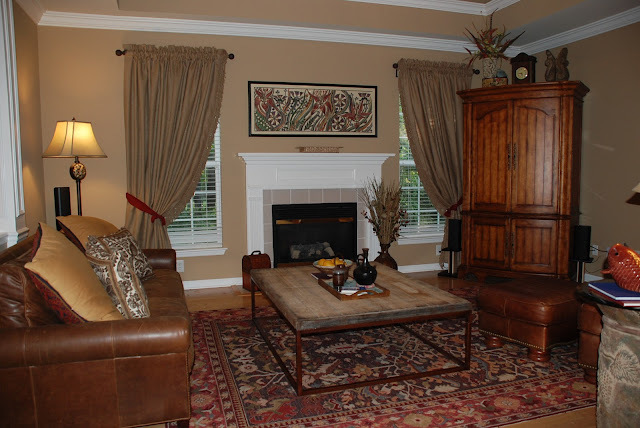 Before - The furniture was ill-fitted and did not reflect the homeowners' style. 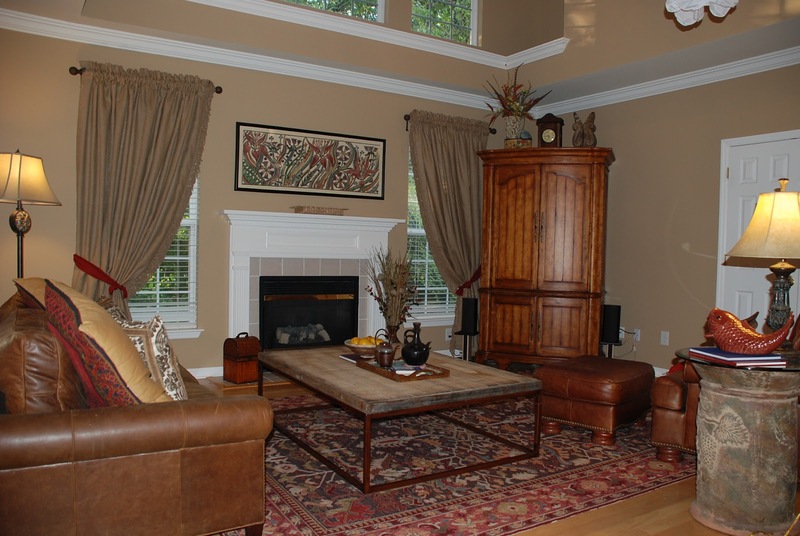 After - A new leather couch and industrial coffee table were as laid-back and comfortable as the homeowners. Before - Accessories are key to a fabulous room and while the homeowners had great ones, they were not arranged properly. After - Rearranging accessories is an easy fix when working with the rest of the room is properly furnished and arranged. Before - The peachy hue clashed, clashed, clashed! 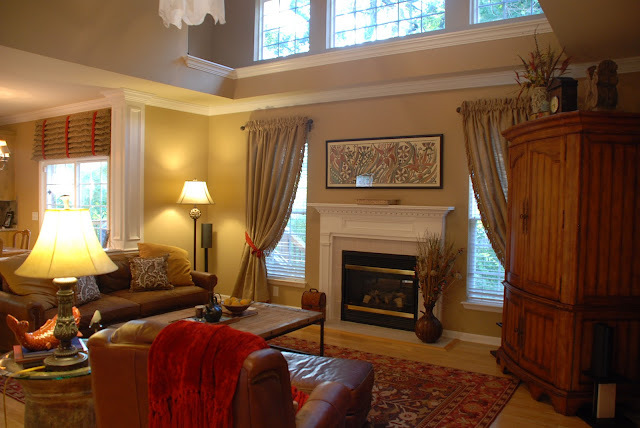 After - This warm hue called Applesauce by Sherwin Williams was key in taking this room from yuck! to FAB!